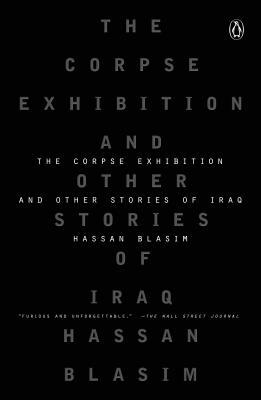 The first major literary work about the Iraq War from an Iraqi perspective—by an explosive new voice hailed as “perhaps the best writer of Arabic fiction alive” (The Guardian)—The Corpse Exhibition shows us the war as we have never seen it before. Here is a world not only of soldiers and assassins, hostages and car bombers, refugees and terrorists, but also of madmen and prophets, angels and djinni, sorcerers and spirits. Blending shocking realism with flights of fantasy, The Corpse Exhibition offers us a pageant of horrors, as haunting as the photos of Abu Ghraib and as difficult to look away from, but shot through with a gallows humor that yields an unflinching comedy of the macabre. Gripping and hallucinatory, this is a new kind of storytelling forged in the crucible of war. Hassan Blasim was born in Baghdad in 1973 and studied at the Baghdad Academy of Cinematic Arts. A critic of Saddam Hussein's regime, he was persecuted and in 1998 fled Baghdad to Iraqi Kurdistan, where he made films and taught filmmaking under the pseudonym Ouazad Osman. In 2004, a year into the war, he fled to Finland, where he now lives. A filmmaker, poet, and fiction writer, he has published in various magazines and anthologies and is a coeditor of the Arabic literary website www.iraqstory.com. His fiction has twice won the English PEN Writers in Tranlsation award and has been translated into Finnish, Polish, Spanish, and Italian. In 2012 a heavily edited version of his stories was finally published in Arabic and was immediately banned in Jordan.